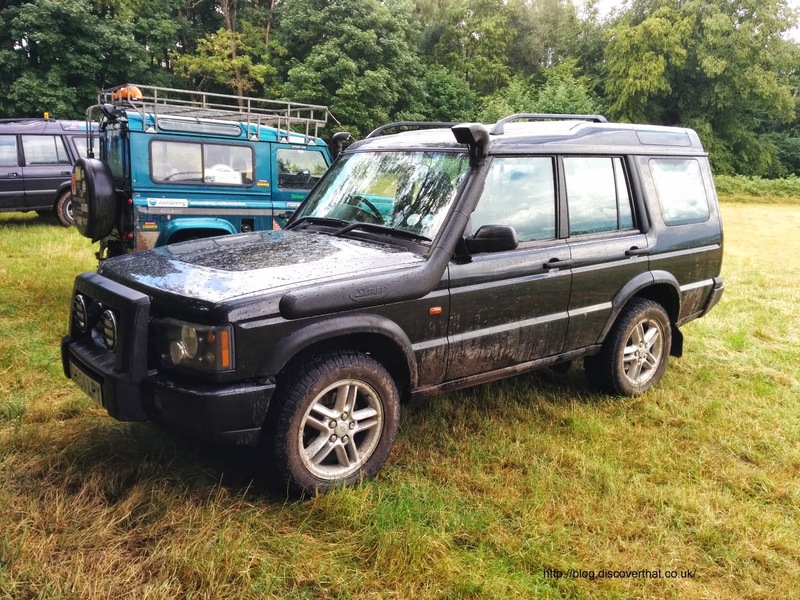 Due to having some engine problems with our Discovery 2, resulting in a complete engine replacement, I have started to be interested in off-roading again. Our Discovery now has a raised air intake to help avoid the problems that probably caused the serious engine damage. I have some plans to fit stronger bumpers and some under body protection but to get about off-road in typical UK muddy conditions, mud terrain tyres are the most useful addition. Land Rover in the last year of manufacture of the Discovery 2 fitted 18" wheels instead of the more common 16" wheels on some of their end of line models. The trouble with the 18" wheels is that none of the more recognised tyre manufacturers make any Mud Terrain tyres and the choice of All Terrain tyres is just about limited to one. The General Grabber AT is a good specification all terrain tyre but I would like to have a choice of something a little bit more aggressive. As the 18" wheels have such a poor choice of tyres I am looking for 16" wheels. The stud positions on a Discovery 2 are not the same as a Discovery 1 so the wheels cannot be interchanged. I plan to do the odd Road Taxed Vehicle (RTV) trial from time to time so I also read the rules for the standard vehicle RTV trials from the ALRC. It appears any steel wheel of the correct size can be used but only original Land Rover alloys. I'll need to clarify that before I buy anything. I was also interested in what the largest tyre that will fit without modifying the body or suspension. Apparently 30.5" outside diameter will fit but I have not tested that for myself. 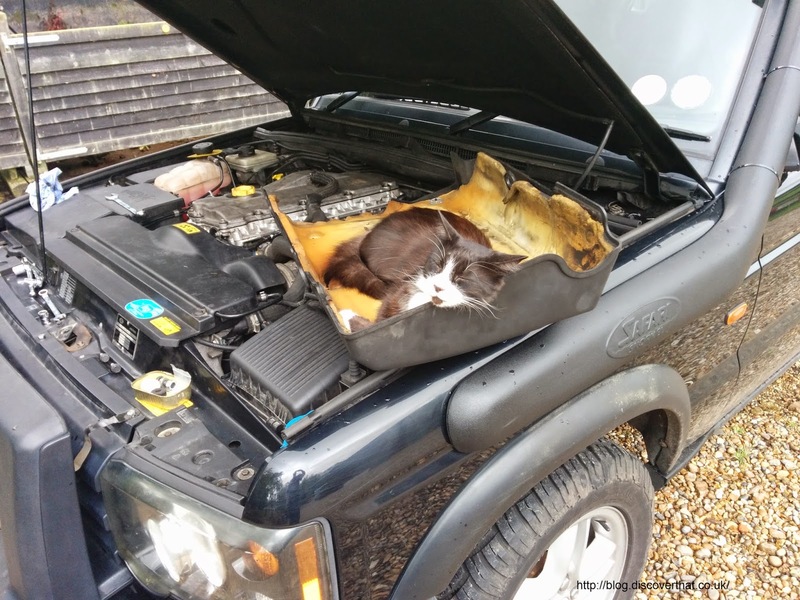 After the car came back from the mechanic with its engine replaced, I gave it a quick check over. Like nearly every garage I have ever known, the engineers only have the time to do the job required. As usual and as expected for its age, the cable protection was missing in places and the odd bolt and clip, to stop loose things flapping about, had long since got lost or broken. I had the bonnet up all day Saturday and between other jobs I wrapped exposed parts of the wiring loom with black tape and replaced missing and broken cable clips with nylon cable ties. As you can see from the photo, I learnt a useful lesson. If you want to be able to finish a job don't leave a comfy spot for a Cat to sleep.